Our fast-paced world pulls us in many directions. Amid the stress and confusion of life, take a break and experience the gentle grace found in Amish country. Let your soul be refreshed as you drink in the sounds, scenery, and values held by the lovable characters of English River. This close-knit community seems to be from days gone by, but Amish farms are alive and well just down the road from our noisy cities. 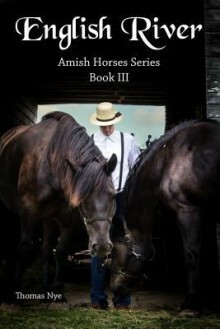 In Book III of the acclaimed Amish Horses Series, Thomas Nye's writing artfully takes you there like a warm cup of tea on a rainy day.